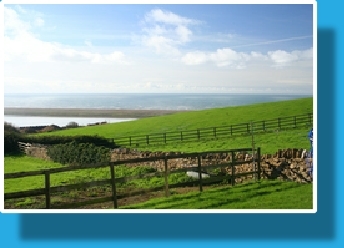 Holiday cottages with views of the Dorset Coast like these at Sea Barn Farm are few and far between. While much of the holiday accommodation available in Dorset is either in village or seaside town locations, the holiday lets at Sea Barn Farm offer stunning rural and coastal views in relative seclusion. Sea Barn Farm provides year-round holiday accommodation in a fully-furnished three-bedroom bungalow and modern six-berth three-bedroom static caravan. 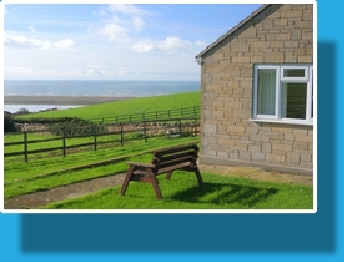 Either provides excellent self-catering holiday accommodation at affordable prices. Whether for family-holidays or a bolt-hole from the hurly-burly of modern life, the Holiday Lets at Sea Barn Farm are an excellent way to get away from it all at anytime of year. Book them either as a getaway in their own right, or as a base to explore all the delights of Dorset and the Jurassic Coast. Both the Bungalow and the Caravan have magnificent views of the Fleet Lagoon and Chesil Beach and provide access via a privately-owned farm-walk to the South West Coast Path. This makes them popular with ramblers and walkers, but others come just for the views. 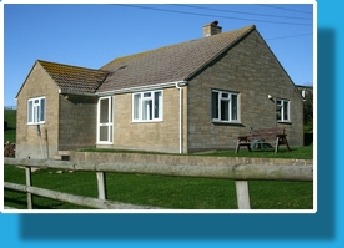 Sea Barn Farm is a working farm producing beef and cereals, it is also a camping park. This means that during the Spring and Summer season, guests in the Bungalow and Caravan can use the swimming pool at West Fleet Holiday Farm.